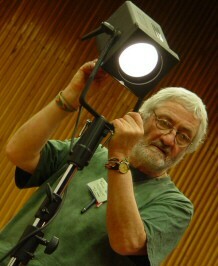 John Somers is a freelance theatre maker and writer and an honorary fellow in the Department of Drama at Exeter. He retired from the University in 2005 but works extensively abroad, especially in, Finland, Turkey, Greece, Poland and the Czech Republic. John specialises in Applied Drama which he characterises as ‘Drama which has a job to do’. He founded and taught the MA Applied Drama at Exeter and is the founding director (1995) of the Exeter Applied Drama Research Conference which last met in 2011. In the UK and overseas John has developed, with students and with professional actors, a range of Interactive Theatre programmes on issues such as alcohol abuse, runaway children, bioethics, self harm, depression amongst farmers and stress and suicide in the veterinary profession. Much of this work has been developed in co-operation with specialists from other professions – psychiatrists, biologists, the police and staff at the Royal Veterinary College. He recently created and co-directed a film for the Vetlife website. In Finland he has worked with nurses and doctors in Vaasa Central Hospital to make a programme on medical ethics. He was commissioned by OXBOW and DAWN, two anti-bullying organisations, to make a programme on bullying in the workplace. His award-winning Interactive Theatre programme ‘On the Edge’ toured nationally for nine months across the UK. The programme deals with the emergence of psychosis in a 17 year-old boy. Subsequently this programme was commissioned by Rethink as part of its ‘Time to Change’ anti-stigma mental health campaign. John writes for academic and research journals and also for more accessible (for the general public) publications. He is willing to discuss projects or issues to do with Applied Drama with people who are shaping their own work approaches. John is the founder editor (1996) of the research Routledge journal ‘Research in Drama Education’, and winner of the American Alliance of Theatre in Higher Education Special Recognition Award. The lifeblood of Higher Education drama enrolment is in the many Drama classes which happen in secondary schools. The current Government’s curriculum plans pose a threat to Drama’s continued inclusion in the school curriculum with teachers already reporting how curriculum time is being reduced or Drama being eliminated completely. This presentation aims to give teachers in schools and in HE a tool with which to make the case for Drama. John gives his consent to users adapting the presentation to their specific context, only asking that use of the presentation and its affect and effect is communicated to him. HE staff could use it to make the case for their discipline to their current students and consider asking those students to use it in a visit to the secondary schools they attended. Research shows that visual imagery is effective in triggering memories in people who have memory loss issues. This PowerPoint presentation seeks to use images from the youth and early maturity of those who have signs of dementia. Its early slides draw on my own childhood and will make little sense to you or others. Also, I spoke to each slide and also encouraged comments from those watching it. I am happy to receive email enquiries and you are welcome to adapt it and use it. If you do, I would appreciate feedback. Drama as Social Intervention (2006) (Ed with Michael Balfour), Captus Press, Canada. Performing Poetry (2004), (with Linda Pagett), 119 pp, NATE, London. Drama and Theatre in Education: Contemporary Research, (1996), (Ed), 230 pp, Captus Press, North York. Drama in the Curriculum, (1994), 198 pp, Cassell, London. (This has been reprinted once and editions in Polish, Portuguese and Turkish are in preparation). ‘Theatre as Communal Work: Intervention in rural communities’ in Theatre and Education at Centre Stage; Govas, .N (Ed) Athens 2009, pp 360-369. ‘The Relationship between DiE (Drama in Education) and Performance’ in Theatre and Education at Centre Stage; Govas, .N (Ed) Athens 2009, pp 417 –421. ‘Community Theatre in Rural Devon: an alternative model’ in Creating a Theatre in your classroom and Community Warren, B (ed), Captus University Publications, North York, (2002) pp. 351-369. ‘Discovering Seminal Stories’: Community Theatre as Cultural Memory’ in Performing Democracy (2000) Haedicke, S & Nellhaus, T. (eds) Ann Arbor, The University of Michigan Press. ‘Drama e História: Projeto Peste Negra’ in Ensino do Teatro: Experiências Interculturais (1999) Universidade Federal de Santa Catarina, Brazil. ‘Measuring the Shadow or Knowing the Bird: evaluation and assessment of Drama in Education’, in Evaluating Creativity, (2000) Sefton-Green, J. and Sinker, R. (Eds), London, Routledge, pp. 107- 128. ‘How Teachers Choose What to Do in Drama Lessons’ in Drama and Theatre in Education: International Conversations, (1999)Saxton J, & Miller C (Eds) Victoria (Canada) University of Victoria Press, AERA & IDERI. ‘Research and the Teaching of Drama’ in Grady, T. and O’Sullivan, C. (Eds) A Head Taller, (1998) Trentham Books, Birmingham. ‘The Nature of learning in Educational Drama’, in Drama and Theatre in Education: contemporary research, (1996), 14 pp, North York, Captus Press. Somers J, (2010), ‘Community Theatre: a search for identity’, in Mailout, March 2010, pp28-29. 2014 - Will direct a new site-specific production in Payhembury to commemorate the outbreak of WW1. He has received permission from the Australian niece of Albert Willis to use his real name and to have an actor portray Albert in the central role. Albert Willis’ name is on the Payhembury war memorial. 2013 December - Travels to Taiwan to work in four locations there. 2013 November - Directing a new production for Tale Valley Community Theatre (tvctheatre.org). It comprises fifteen scenes which, following a major workshop led by playwright and director Nick Stimson and one of John’s ex students, were written by twelve new playwrights. 2012 - John was invited to Poland by Drama Way, a successful theatre company led by his ex-students following their MA in Applied Drama at Exeter. 2010 - New Interactive Theatre programme made in Brno, Czech Republic on the topic of Roma children in Czech society. 2010 - Six new theatre initiatives created in Poland for use in rural and urban communities. 2010 - Original filmscript Winner Takes All, subject of new film produced by me and shot by PhotoTropic. 2010 - Original theatre script, Sunnyside. 2010 - Original theatre/film script Leave it to me. 2008 - Development and performance of eighteen new monologues. Storyboarding and filming of these. 2006/7 - Development of a new community play Foresight. 2008 - Development of original Interactive Theatre programme, Czech Republic. 2006 - Practice Imperfect a new interactive theatre programme on stress in the veterinary profession. Toured to London and nationally. 2006 - New interactive theatre project on domestic violence developed at Warsaw University. 2005 - Leave Off! an interactive Theatre in Education anti-bullying programme. 2005 - Three interactive theatre programmes developed in Greece. 2004/5 To the Core – a new play about eating disorders toured in Devon and Somerset. 2003 On the Edge – this play secured funding of £160,000 for a national, six-month tour by the theatre company, Exstream, of which I am Artistic Director. 2002 The Living at Hurford – a play for rural communities in the aftermath of foot and mouth disease (gained funding for production in rural communities and South West theatre tour). 2001 Island of Understanding, an interactive play on racism. Funding is being sought for a national tour. 2000 Parson Terry’s Dinner – a community play written and directed by me in a Devon community. 2010, Nov/Dec Creation of four day workshop of leading Czech academics on researching aspects of drama and theatre; Interactive Theatre programme, Brno University, Czech Republic. 2010, Nov/Dec Creation of original Interactive Theatre programme, Brno University, Czech Republic. 2010, November Keynote presentations and four workshops, Applied Drama Practitioners Forum, Warsaw, Poland. 2010, October Opening presentation, research seminar, Newman University College, Birmingham. Presentation and workshops and creation of new Interactive Theatre programme, Vaasa Central Hospital, Finland. 2009, October Opening presentation, research seminar, Newman University College. 2009, September Presentation to Medical General Practitioners on The Arts and Wellbeing. 2008, March Runaway a film collaboration with Pangea TV nominated for Media Innovation awards. 2008, March The Theatre and Community, Honiton and the Arts Lectures, Honiton Library. 2008, February On the Edge commissioned by the Time to Change national mental health initiative to tour in 2009 - 2011. 2006, October International ISPS conference, Birmingham ICC, ‘On the Edge’. 2006, January Visiting lecturer/theatre director, University of Warsaw. 2005, December On the Edge won the National Institute of Mental Health in England (NIMHE) Positive Practice Award. It was also joint winner of the NIMHE Service User Involvement Award. 2005, December Keynote speaker, ‘Drama and Well-being’ conference, Warsaw. 2005, December Workshop leader, ‘Stop Klatka’ Conference, Warsaw. 2005, December Keynote speaker, ‘Drama and Discrimination conference, Warsaw. 2005, October Keynote speaker, Littoral Seminar, University of Bath. 2005, September Keynote speaker, Greek Drama Network, Thessaloniki, Greece. 2005, September Invited speaker, inaugural Theatre Research Conference, University of Athens. 2005, September Theatre Director, Greek Drama Network, Thessaloniki, Greece. 2005, September Theatre Director, Aristotle University, Greece. 2005, September Keynote speaker, Greek Drama Network, Athens, Greece. 2005, September Theatre Director, Greek Drama Network, Athens, Greece. 2005, September Workshop leader, ISAACS Conference, Manchester. 2005, January Invited keynote speaker, national drama seminar, University of Jyväskylä, Finland. 2005, June My play On the Edge, won the Southern Region Health and Social Care Ward for its contribution to mental health awareness. 2004, November Invited to become a member of the Working Group of the Nuffield Review of 14-19 Education and Training. 2004, December Invited to make keynote presentation, international theatre conference, Athens, Greece. 2004, November Keynote speaker and workshop leader, Hungarian National Drama association, Budapest, Hungary. 2004, November Keynote speaker, National conference on Crime Prevention and the Arts, Budapest, Hungary. 2004, November Keynote speaker, international conference ‘What do we Fear’, Warsaw University, Poland. 2004, October Invited to become a member of the Steering Group of the new British and Irish Theatre Research Association. 2004 Invited member of Advisory Committee of the Greek Drama Education Journal. 2004, September Invited to become a member of the Advisory Group for the In Place of War three-year AHRB funded theatre project. 2004, July Keynote speaker, International Children’s Theatre Festival, Tokyo, Japan. 2004, July Guest Director, National University of Arts, Seoul, S. Korea. 2004, July Keynote speaker and workshop leader, Taipei, Taiwan. 2004 July Invited Special Interest Group Leader, International Drama and Theatre in Education Association World Congress, Ottawa, Canada. 2004 May My play ‘The Living at Hurford’ was the subject of a ‘Farming Today special on BBC Radio 4. 2004, April Keynote speaker, Getting in Early, Getting it Right, Early Intervention in Psychosis Conference, Buckfast Abbey. My play ‘On the Edge’ was performed at this conference. 2004 March Guest speaker, Graduate School, University of Bristol. 2004 March Keynote speaker and workshop leader, International Association for Theatre for Young People (ASSITEJ) Warsaw, Poland. 2003 November Exeter Learning City Award for contributions to Applied and Community Drama. 2002 In recognition of my contributions there, I was made a member of faculty at Warsaw University.